To the east of the catchment is the Combe Haven. The rural upper reaches of Powdermill and Watermill Streams drain to the Combe Haven, with the Hollington Stream merging just before it discharges to the sea. The Alexandra Park Stream and Egerton Park Stream flow through Hastings and Bexhill before discharging to the English Channel. 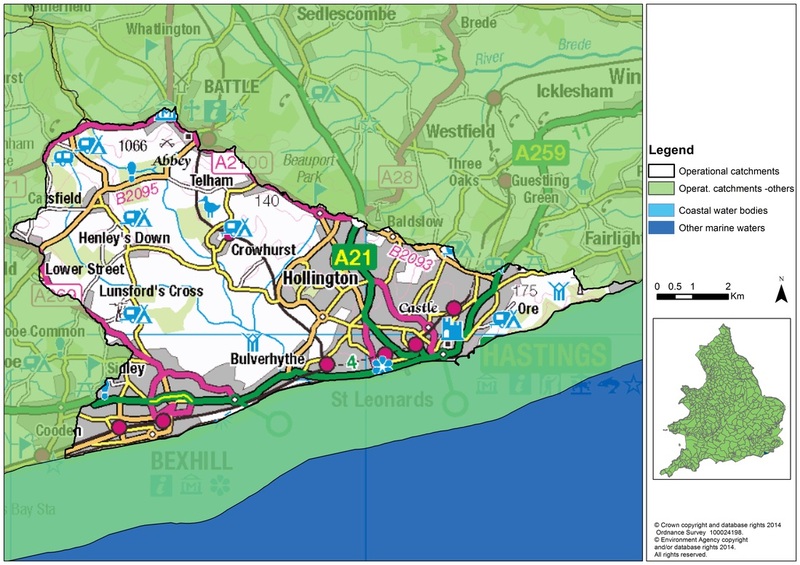 Urban pressures including misconnections affect the quality of water including that of the priority bathing water at Hastings, which has a potential economic as well as environmental impact.